(1) Deism envisages God leaving creation alone, having endowed it with inherent powers to operate according to its inbuilt laws. (2) Pantheism does not distinguish God from the world. Since God’s action or providence are identical with the course of nature, there is no independent or secondary causes in the outworking of creation. The Westminster Confession of Faith (WCF) strikes a balance between these two rival positions in its article on the decrees of God. This article on God’s decrees serves refutes both deism and pantheism: (1) Contrary to deism, nature does not work by its inherent power. 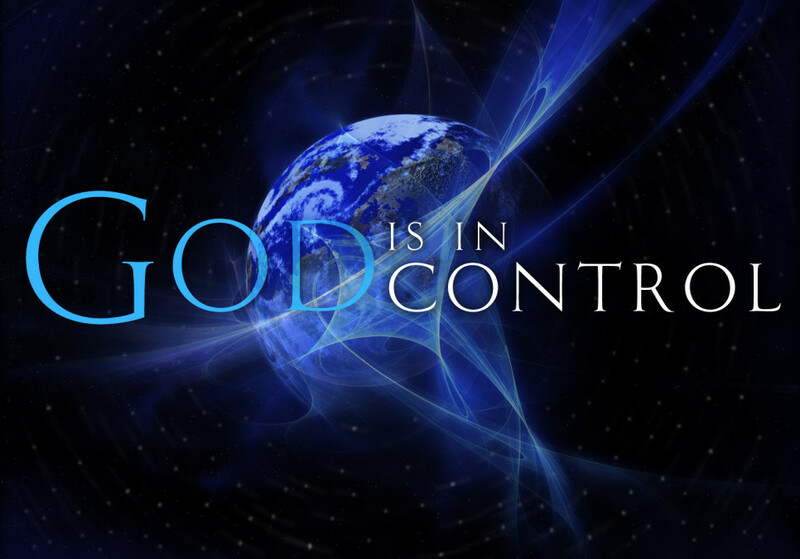 God is immediately operative in every created being. (2) Contrary to pantheism, secondary causes or the action displayed by created beings are real even though they are ultimately dependent on God, who is the primary and self-sufficient cause. We may identify several elements of providence which include, preservation (upholding the being of creation), concurrence or cooperation (God’s superintending human activity), and government (God’s guidance of all things). While the three elements in providence are distinguished, they are never separated in the work of God. Empirical science studies the activity of secondary causes in nature which it describes with elegant mathematical equations. But the elegant equations by themselves are nothing more than inert abstractions. The mystery raised by Stephen Hawking remains unanswered, “What is it that breathes fire into the equations and makes a universe for them to describe?” Metaphysics and theology study divine action and its spiritual impact on the consciousness and the will of the human agent. Paul declared to the Athenian philosophers, “in him we live and have our being.” (Acts 17:28) The two perspectives of science and metaphysics complement one another. 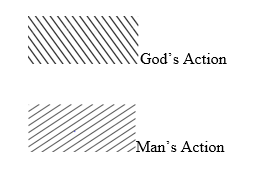 It is precisely because the secondary causes are real that it is meaningful to speak about a concurrence or cooperation between God’s first (immediate) causes with secondary causes. It is divine power that sustains and guides all human action, but human actors remain free and responsible for their action. In concurrence, every action is entirely an act of the creature and an act of God. But what is the relationship between divine and human action? This question has occupied theologians for centuries. The Jesuits, followed by the Socinians and Arminians argued that the influence of God (the primary cause) on human action is only “general” or “indifferent”. 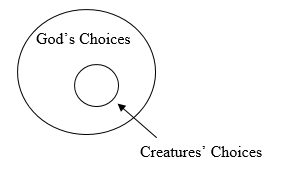 God determines the basic nature and character of his creatures, but he does not determine the specific decisions and spontaneous actions of the human agent (the secondary cause). 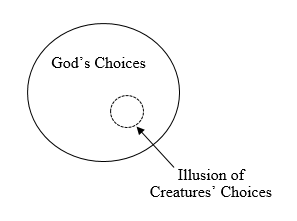 Humans often act in contrary choice against God, who gives them freedom to do so. Humans choose and sin freely, yet God maintains control and uses even sin to accomplish his purposes. 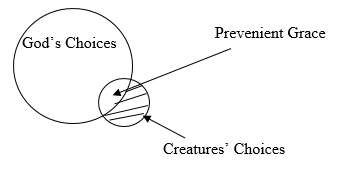 Given below are several illustrations on the interaction between divine and human action taken from Randy Alcorn’s book, hand in Hand: The Beauty of God’s Sovereignty and Meaningful Human Choices (Multnomah, 2014), pp. 131-135. 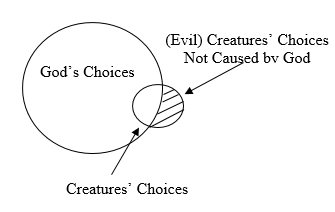 I prefer Compatibilism C: Evil results from the creatures’ choices. God does not cause evil; he merely permits the creatures to cause them. 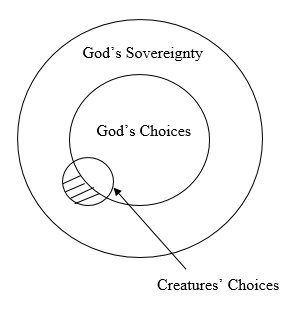 The reality of the creatures’ (wrong) choices do not constrain God’s sovereign control over all things (the unlimited circle of sovereignty).